We’ve been asked to announce the death of Moira Creer, aged 74 years, formerly of Elizabeth Rise, Castletown. She passed away on Friday 31st July 2015 at Nobles Hospital. She leaves a husband Roy and daughters Lynda, Elizabeth and family. The funeral service will be held at St. Marys on the harbour, Castletown, on Wednesday 12th August at 1pm, followed by interment at Malew Churchyard. 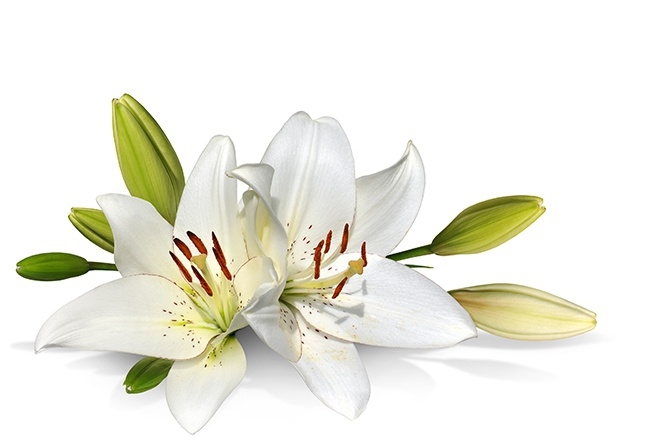 For further information regarding donations to The R.N.L.I Port St. Mary branch, in lieu of flowers please contact Cringle & Co Limited, Southern Funeral Service, Port Erin by telephoning 833602 or Castletown 824134. We’ve been asked to announce the death of Alan Graham Dransfield, aged 65 years, formerly of Colby. He passed away on Thursday 30th July 2015 at Hospice. Dearly loved Father of Jane and Carl, and a much loved granddad of Amy and Dominique and dear brother of Malcolm. The funeral service will be held at St Andrews Church, Douglas at 10.45am.on Thursday 6th August 2015, followed by private cremation. For further information regarding donations in lieu of flowers please contact T.S Keggen & Son, Funeral Directors, Port St Mary by telephoning 833133. We’ve been asked to announce the death of Michael Cunningham aged 73 years of Ballaquane Park, Peel. He passed away on Thursday 30th July 2015 at his home. He leaves a wife Marie, son John, daughter Julie, grandchildren and family. The funeral service will be held at St. Germans Cathedral, Peel , on Friday 7th August at 12 Noon, followed by burial at Peel Cemetery. For further information regarding donations in lieu of flowers please contact David Lancaster Funeral Directors by telephoning 842945. We’ve been asked to announce the death of Robert (Bob) Dowty. He passed away on Tuesday 28th July 2015 at Nobles Hospital. The Funeral Service will be held at St.Ninians Church, Douglas at 2pm on Thursday 6th August, followed by a private cremation. We’ve been asked to announce the death of Doreen (Do). She passed away on Monday 27th July 2015 at Nobles Hospital, in her 92nd year. She leaves a niece Jane, Nephew Richard and their families. Private family cremation will be followed by a service of celebration to be held at Trinity Methodist Church on Wednesday 5th August at 2pm. We’ve been asked to announce the death of Thomas Gordon Oates, aged 90 years of Barrule Drive, Onchan. He passed away on Sunday 26th July 2015 at Nobles Hospital. The funeral service will be held at The Abbey Church, Ballasalla, on Monday 3rd August at 2pm, followed by interment at Malew Churchyard. He passed away on 25th July 2015 at Hospice Isle of Man. The Funeral Service will be held at Union Mills Methodist Chapel at 11am on Thursday 30th July, followed by burial at Braddan Cemetery. We’ve been asked to announce the death of Mary Philomena Cain, aged 77 years, formerly of Y Vaarney Yiag. She passed away on Thursday 20th July 2015 on ward 20 at Nobles Hospital. The funeral service will be held at St Marys Roman Catholic Church, Castletown, on Saturday 25th July 2015 at 1.00pm, followed by interment at Malew Churchyard. We’ve been asked to announce the death of Patricia (Pat) Quine, aged 82 years formerly of Romney Wynd, Ramsey. She passed away on Tuesday 21st July at Beaconsfield Nursing Home, Ramsey. She leaves a husband Peter, daughters Catherine, Gillian and Barbara, son John and families. The Funeral Service will be held at St Olaves Church in Ramsey at 10.00am on Friday 24th July followed by Private Cremation. We’ve been asked to announce the death of Gordon Kennaugh Astill, aged 83 years, of Summerhill Road, Onchan. He passed away on Sunday 19th July 2015 at Nobles Hospital. He leaves wife Sheila and family. The Funeral Service will be held at St.Peters Church Onchan at 2pm on Monday 27th July, followed by private interment . Nominated Charity is St.Peters Church Onchan. We’ve been asked to announce the death of Doreen Bateman, aged 91 years, of Inner Circular and then Elder Grange Nursing Home, Douglas. She passed away on Friday 17th July 2015 at Nobles Hospital. She leaves a son, Geoffrey and daughter in Law Lucy. The Funeral Service will be held at the Douglas Lawn Cemetery, Johnny Watterson's Lane, Douglas on Monday 27th July 2015 at 11.00am, followed by Private Cremation. Nominated Charity is Hospice ,Isle of Man. She passed away on Monday 13th July 2015 at Nobles Hospital. She leaves a husband Bob and Family. Nominated Charity is Hospice, Isle of Man. She passed away on Saturday 11th July 2015 at Hospice IOM. We’ve been asked to announce the death of Edna May Gale ( nee Corlett ). She passed away on Tuesday 7th July 2015 at her home. Loving Mum of Roy and Neil, Grandmother to Lindsay and Stacey, Great Grandmother of Harrison. The Funeral Service will be held at Onchan Methodist Church at 12.30 pm on Friday 31st July, followed by interment at Onchan churchyard. We’ve been asked to announce the death of Phyllis Isabelle Simpson, aged 72 years, formerly of The Threshold, Jurby. She passed away on Monday 6th July 2015 at Arrowe Park Hospital, Birkenhead. She leaves a husband Tommy, sons Andrew, Stephen and Graham, daughters Pamela and Susan and family. The funeral service will be held at Jurby Parish Church on Saturday 18th July 2015 at 11.00am, followed by Interment. Nominated charity is Arrowe Park Hospital, Birkenhead. We’ve been asked to announce the death of Eileen Corlett, aged 94 years, formerly of Marina Close, Onchan. She passed away on Friday 10th Jul y 2015 at Castle View Nursing Home, Peel. She leaves a daughter Helen, son in law Gordon and grandson Richard. The funeral service will be held at Onchan Methodist Church on Friday 17th July at 1.30pm, followed by Private Interment. For further information regarding donations in lieu please contact Kissack's Funeral Directors, Crosby by telephoning 851377. Nominated charity is the Ronald MacDonald House, Liverpool L12 2AZ. We’ve been asked to announce the death of Trevor Hardinge, aged 64 years formerly of Hillside Avenue, Douglas. He passed away on Saturday 4th July at Nobles Hospital. He leaves a wife Ann, daughter Gillian and son Gareth. The Funeral Service will be held at the Douglas Lawn Cemetery, Johnny Watterson Lane at 11.30am on Wendnesday 15th July followed by Cremation. We’ve been asked to announce the death of Jeanette Rose Coe, aged 52 years, of Lord Street, Douglas . She passed away on Wednesday 1st July 2015 at Nobles Hospital. The Funeral Service will be held at St Matthews Church, Douglas, on Friday 10th July at 10am, followed by Cremation. Nominated Charity is The Hyperbaric Chamber.